When you’re in the market for your next car or truck, the salesmen and the showrooms can seem like pretty intimidating places. Whether you’re better off with a new car or selecting a used or “pre-owned” vehicle depends upon a number of factors, and there isn’t one right answer for everyone. While a friend of yours may swear that new cars are always the better investment, your mileage with such a decision may vary, depending upon a number of factors. To help guide you toward the right choice of automobile for you, please consider what your personal priorities are when thinking about several considerations. A car is one of the biggest investments you will ever make, and making a vehicle choice that keeps you – and your financial future – safe is the best option. 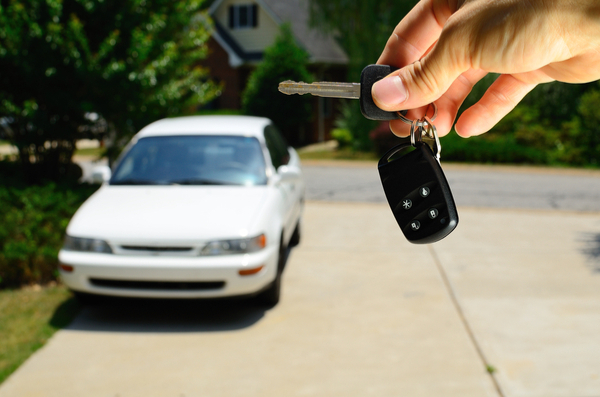 As soon as you drive a new vehicle off the lot, it loses value or depreciates. Often, throughout your time driving, the vehicle you purchase will lose thousands of dollars in trade-in value. Sometimes, the loss of $7,500 over 10 years seems like too much of a gamble. Though the same thing happens with lots of tools that you buy and use, many people put more love and money into the vehicle they drive and they view it as an extension of themselves. Still, cars serve a practical purpose, require constant maintenance and fuel, and can help keep you safe and active. It’s up to you whether you want to be burdened with an investment that may never again be worth the amount you paid for it. While you’re talking with the car salesman on the lot, you should also make a very important call to your insurance agent because the cost of your automobile insurance can fluctuate by hundreds, depending upon the vehicle you get. Do not make a car purchase without first calling your insurance company for a quote. Factor the cost of the insurance into the amount of the new car payment to see more clearly how this change to your bills might affect your personal budget. Not all cars are insured the same way, for safety and reliability change with each year, make and model you may consider. Additionally, if you are financing the purchase of the car, you are required by most loan companies to carry full coverage on a vehicle until the loan is paid, which can mean a change in monthly insurance costs by hundreds. Also, be sure to ask your insurance company about gap insurance, which protects a new car purchase from its immediate loss in value upon leaving the lot. Having a clear idea of how several of your monthly bills may change is very important, and this research might help prevent you from the risk of debt. Older cars generally have more wear and tear on them, requiring more fixes and time in the shop. Sometimes it pays to research whether the value you save upon purchasing a used car is worth the amount it might eventually cost you in repairs. If the repairs cost more than the car is worth, it might be a bad investment for you. Newer cars tend to be in the shop less often, though sometimes they require more expensive maintenance, such as synthetic oils. All of these options can be investigated as you research the car you want to buy. If you have a trade-in or down payment, it can give you a real boost toward financing the vehicle that you truly want, be it used or new. But the health of your credit can affect the sort of purchase you can make. To ensure you’re facing a purchase like a vehicle in the best possible circumstances, CreditGUARD offers you a chance to speak with one of our qualified credit counselors, who can advise you on how to improve your financial future to best prepare for a life without debt. When you hit the road in your new purchase then, you’ll breathe a sigh of relief.